Alexa Linden talked about the 360 Snapshot Project Viewer at the Content Creators’ UG Meeting (2/22). We last saw this viewer update in week #27-2017 (July). This is the black sheep or Cinderella viewer. It is the one that gets pushed to the back when a fire breaks out and some big bad bug has to be squished. But, YAY! We have a new version. See Official Alternate Viewers. This version handles the stitching… if you have built 360-images manually, you know what stitching is. It is taking a number of pictures in different directions and then piecing them together (stitching) to make a globe-shaped picture. Tedious. Posted in General News, Second Life, SLV2, 3, 4, 5, & 6 Series, Viewers. Tagged 360 Image. This is pretty neat! Check it out. Start the video then click and drag inside the video. You can pause the video and drag around too. Some of these 360 images and videos have not worked on my site, but this one does. Drax, et al, did good. I don’t know if it will work with VR. Let me know if you try it. Since the Samsung 7’s are burning up, in recall, and dropped from production any phone upgrade I was thinking of is on hold. I expect the next gen of phones to have better VR support, Daydream. So, I’ll wait. PS: 10/15 – Inara has a good write up on how the video was made. See: The Drax Files 41: animating Second Life. Posted in Changes, Machinima, Second Life. Tagged 360 Image. There are now two panoramic cameras we can use for making 360-Images. Everyone has written about Illiastra, Strawberry and Inara did good reviews. The other camera by Lalwende Leakey, I didn’t even know existed. 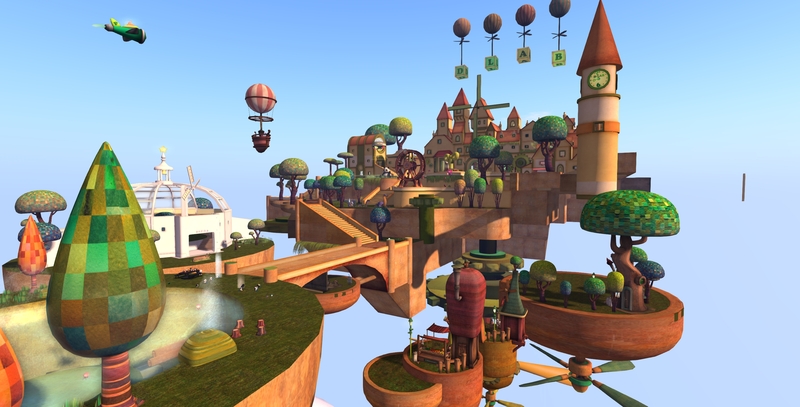 Lalwende contacted me in-world and asked about leaving a comment on my article: Second Life: New Easy 360 Camera Coming. Posted in Photography VW, Second Life. Tagged 360 Image. There is an interesting tutorial out for Blender 2.78 showing how to make a 360 VR image. Posted in Blender. Tagged 360 Image, VR. The site Road to VR has an article about Nvidia and the changes they are making to improve VR performance and that tech moving into game engines. See: Unreal Engine and Unity to get NVIDIA’s New VR Rendering Tech. Posted in General Computer Stuff, Hardware, Second Life. Tagged 360 Image, Video Cards.